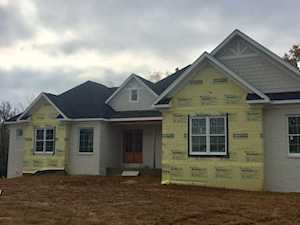 Welcome to the absolutely stunning Goshen subdivision, Poplar Woods Estates. Poplar Woods Estates is accessible from Highway 42. Poplar Woods Estates was the site of Homearama in 2009. 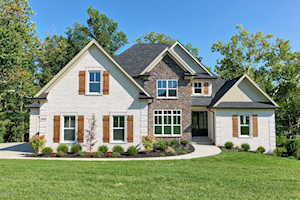 Poplar Woods Estates is filled with custom built homes by some of the best builders in Kentucky. 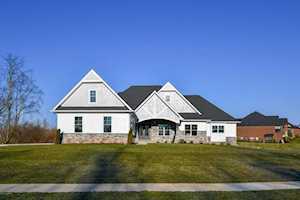 Homes in Poplar Woods Estates range from $620,000 to $880,000. 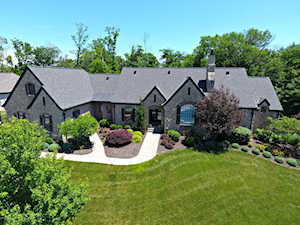 The Hollinden Team updates this search for Poplar Woods Estates homes on a daily basis from the Louisville MLS. The Hollinden Team has helped many people find their dream home in Goshen. To find out what our past clients are saying about us, check out the Hollinden Team reviews. Feel free to use the Advance Search Tools of our Louisville MLS to find other houses for sale in Oldham County. Click the map to the left to view each home in Poplar Woods Estates. There is a satellite view button in upper right. Homes in Poplar Woods Estates are mainly brick but many homes have accent materials such as stone. Poplar Woods Estates houses are predominantly two-story and 1.5 story traditional style homes. Poplar Woods Estates homes boast spacious lots that range from around 0.7 to 1.30 acres! Each home also has a spacious and gorgeous patio overlooking the lush green grass. Poplar Woods Estates homes have spacious three car garages as well. Poplar Woods Estates homes have 2,600 to 4,800 above grade square feet. Each home has a basement as well. Three to five full bathrooms and four to six bedrooms is usually what you’ll find in Poplar Woods Estates homes. Poplar Woods Estates homes are filled with all the top-of-the-line bells and whistle. In Poplar Woods Estates homes you’ll find granite countertops, hardwood floors, stainless steel appliance, high-end backsplashes, and custom cabinetry. Poplar Woods Estates homes feature open floor plans and soaring vaulted ceilings. The space in the Poplar Woods Estates homes is perfect for entertaining a large group of people. Shopping is close by Goshen. For grocery shopping, there is a Kroger in Prospect located at 5929 Timber Ridge Drive. There isn’t a Walmart in Goshen but there is a Walmart in both La Grange and Crestwood that is close. If you are looking for an actual shopping center or mall, there are The Paddock Shops, Mall Saint Matthews, Westport Village, Oxmoor Mall, and various other boutique and locally owned stores not too far away in Louisville. Poplar Woods Estates is in the Oldham County School District. The following schools are the home schools for Poplar Woods Estates: Harmony Elementary, North Oldham Middle School, and North Oldham High School. Harmony Elementary and North Oldham High School are two of the four schools of distinction in Oldham County. North Oldham Middle School is one of the four highest-performing schools in the district. If you would like to learn more or have any questions about any of these Poplar Woods Estates houses for sale, or others in the zip code 40026, just click the "Request More Information" button on any property detail page. The Hollinden Team can provide you with past sale information, comparables, disclosures, PVA assessment, and tax information – we would love to answer any real estate questions you have.